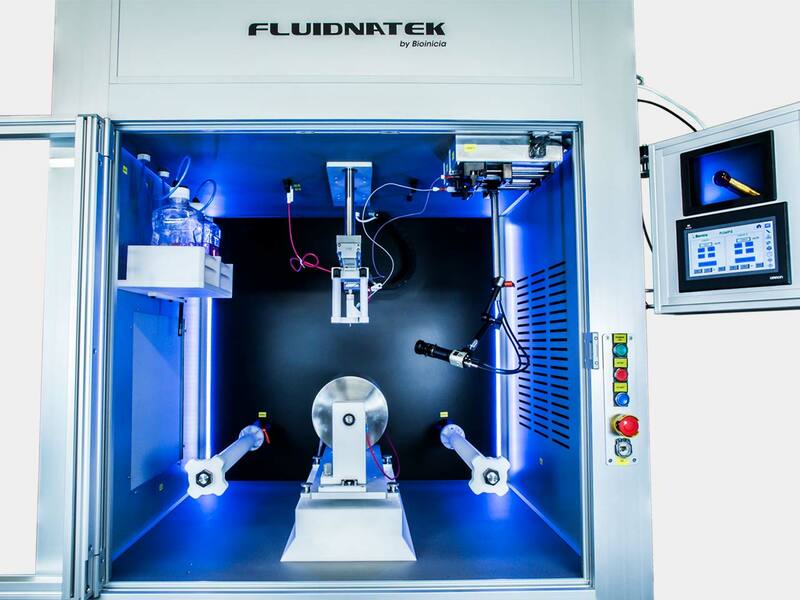 EHDP, also commonly referred to as electrospinning process (for fibers) or electrospraying (for particles), is the voltage-driven fabrication technology at the core of Bioinicia’s Fluidnatek ® equipment range. 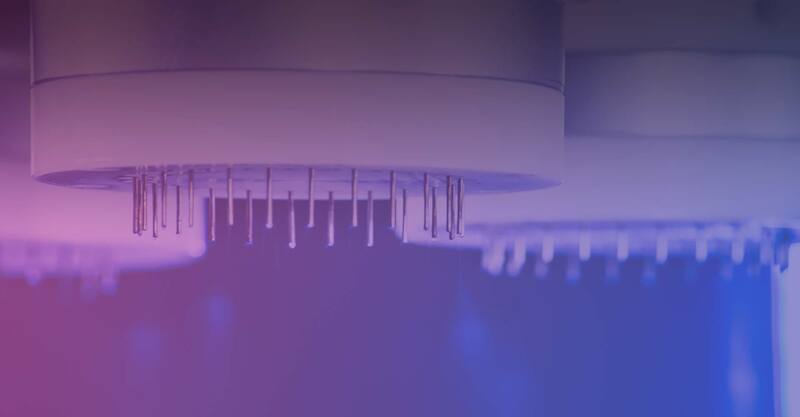 Both electrospinning process and electrospraying process have been investigated thoroughly in academia over the last 25 years as a means to fabricate nano and/or micro-structured fibers and particles and are now being adopted by industry for a broad range of applications. 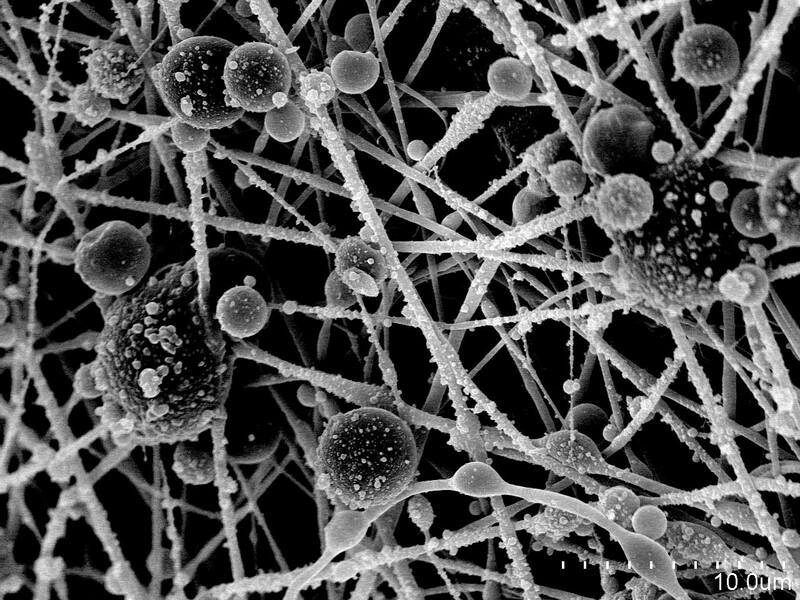 The electrospinning process as well as electrospraying are becoming an advantageous option in some industrial applications replacing other traditional techniques used so far such as the spray-drying or the lyophilization because of the special benefits and distinguishing characteristics that electrospinning and electrospraying provide. Look to the frame on the right to find out more about the particular characteristics of electrospinning process. – Produces dry product in a single step: powder (electrospraying process) or non-woven fiber membranes, coatings and complex shapes (electrospinning process).